When was the last time you searched anything on the Google? Let me answer that. Today, yesterday or maybe a day or two before that. The internet giant of information has been an integral part of our lives, and no one would disagree with that. If you have visited Google today, then you would have noticed that Google is celebrating its 18th birthday with a birthday party themed Doodle. The letter G fills up a balloon with air, twist it into the Google logo, then floats away. No wonder, Google has reached to every corner in the world. The simplicity and faster response of Google have made it the biggest thing in the Internet world. Google was officially started in 1998, but the roots of the giant go back a little more than that. It was the summer of 1995, Larry Page 22, visited Stanford as a potential PhD student in computer science. A 21-year-old mathematical geek, Sergey Brin, who was pursuing his PhD in the same department was assigned to guide the tour for the young man. Though they had a common interest, both of them did not immediately hit off. As a matter of fact, they both spent their first day together arguing with each other. Both of them had strong opinions about things, and thus as it was natural for any other human being, they argued with each other. Fortunately, for the 7 billion people of the present world, Page got elected to attend Stanford and their relationship was going to get much better. By 1996, they were good friends and collaborating on a project called, ‘Backrub.’ The project was investigating how sites linked to other web pages. The duo soon realized that helping people find pages with more incoming links could be a better way to search the internet. Google would not have been invented, because both of them wanted to finish their PhDs, thus they looked into selling their search innovations to another company. In fact, they talked with Yahoo!, Lycos, Infoseek, and AltaVista, but obviously, the deal never took place. The money offered was lower than their expectations, so they went back to Stanford. Since they could not sell the technology, Page and Brin knew they needed to start their own venture. They improved the technology and made online on Stanford servers. The Backrub operated for more than a year, but the problem was with bandwidth. They were working on reducing the bandwidth. Also, the name ‘Backrub’ had to go as they both had agreed on it, so ‘The Whatbox’ was decided initially. Later, they found the word ‘googol,’ which means a number with one hundred zeros. With a slight spelling change ‘Google’ was born. The idea behind the name was to organize the infinite amount of information on the web like the word represented 100 zeros. And the Google.com was registered as a domain on 15 September 1997. In August 1998, Sun co-founder Andy Bechtolsheim wrote a check for USD 100,000 to a firm that did not exist yet- A company called Google Inc. Later on September 4, Larry and Sergey formally incorporated their company, Google. The Google was initially set up in their friend’s garage in Menlo Park, California. They hired a first employee who was a grad student and thus, the Google was born officially. So the research project that became an internet giant later and proved to the world than everything is possible in the world. Unlike other search engines, Google had developed super-slim servers. They looked ugly, but it made Google’s search run faster. The site took off and Google’s other rivals were left in the dust. Within four months, it was recognized by PC magazines as the search engine of choice in top 100 websites in 1998. The office was moved to 165 University Avenue, Palo Alto in February 1999 with just eight employees that time. 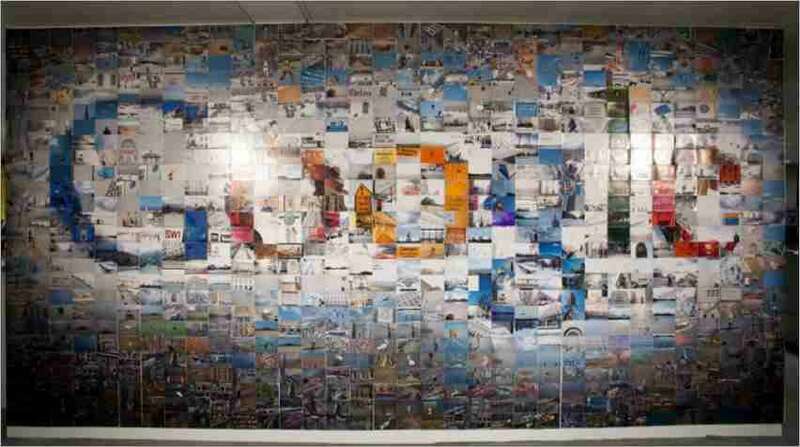 The first press release of Google, announced a USD 25 million funding from Sequoia Capital and Kleiner Perkins. But the investment came with a price. The investors wanted Page to step down as CEO and hire an adult supervision. Page needed money, and thus took the deal. However, Page experienced a change of heart when the deal was closed. He was very confident in running a company by himself with a support from Sergey. He thus told the investors about his plan, but investors were sensing a lack of sensible management from Page. When investors were in no mood to listen, Page agreed to hire a CEO and did, when he met Eric Schmidt, CEO of Novell. Eric joined as chairman and became CEO in August 2001. Though Eric was driving the van and Page was daydreaming in the back, he never liked it. But the move paid off when Eric took Google to an another level. The company later launched Gmail in 2004 which is still the greatest success of Google. The making of Google Maps, digitizing books, creating Android mobile operating system, and the purchase of YouTube are considered among the successful projects. Page made to CEO in 2012 and running a successful business in his fourth year now. In a day Google is used over 3.2 billion times, that shows the success of the company. No doubt, the search engine which started with an argument of Page and Sergey will continue to improve the lives of mankind with a click away, but the tale behind the giant will be an inspiration to many innovators in a century to come. How Will Cloud Computing Be By 2020?